Regular replacement of your filters and maintenance of your carburetors can improve performance and prolong the life of your engine. 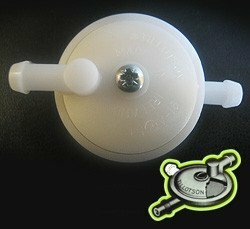 Our filters are sold individually or in sets with carburetors and carburetor repair kits. We offer the best quality in-line and in-tank filters to keep your carburetor running clean without reducing fuel flow as well as air filters for the most popular two- and four-stroke engines. 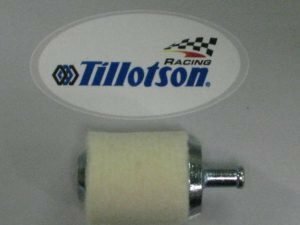 Our in-line fuel filters are designed to fit virtually any fuel line and trap dirt and other particles before they reach the the carburetor. They are adjustable, easy to clean, durable and corrosion resistant. To adjust simply loosen screw and turn the fuel barb to any position and re-tighten the screw. They are an ideal safety precaution for karting and lawn and garden equipment, and unmanned air vehicles where the fuel source can be contaminated with dust and debris. 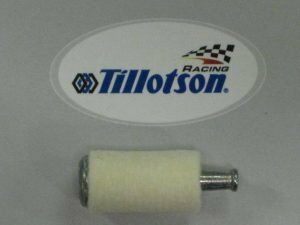 They can be added to virtually any application by cutting the fuel line attaching the two parts to the intake and outflow ends of the filter. Our in-tank fuel filters are legendary for delivering dependable, trouble free performance. They are designed to provide full, free flow anytime, anywhere – regardless of position in tank. They don’t even need to be fully submerged to deliver optimum performance. They felt cylinder is replaceable, making them more cost effective than solid filters and they install easily inn most gas-driven power tools. 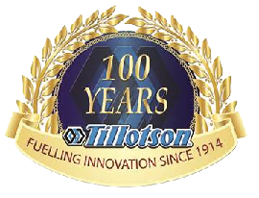 Our Tillotson Xchange line of air filters provide OE quality performance at an affordable price. We offer air filters most engines, including chainsaws, concrete cutters, string trimmer lawnmowers and other applications.